DESPITE last November’s rise in the Bank of England base rate, and promises of more rate rises to come, it is still hard for savers to find a home for their money where inflation won’t erode its value over time. This has led to people seeking new places for their money to grow, and taking on more risk. While some have turned to traditional products, such as stocks and shares Isas, others have embraced peer-to-peer lending, a far newer solution that promises attractive returns to those willing to loan out their savings to companies, or individuals, that need the cash. Peer-to-peer remains controversial, especially since the government approved a new type of Isa, the Innovative Finance Isa (Ifisa), in April 2016 that allows customers to receive income from the peer-to-peer loans they make free of tax. Adair Turner, former head of the Confederation Of British Industry, famously said that losses from peer-to-peer lending will ‘make the worst bankers look like absolute lending geniuses’, before backtracking. Financial advisers, too, are divided. ‘Whether the government intended it or not, the Isa is viewed as an “if it wasn’t safe they wouldn’t let you put your money in” stamp of approval,’ says Sam Blanning, financial adviser from Star House Financial Services in Bristol. He says that customers can get higher returns more safely from traditional corporate bond funds than from peer-to-peer sites, ‘which suggests that the risks aren’t fully appreciated’. Matthew Walne, from Santorini Financial Planning in Leicestershire, agrees. ‘[It’s] far too risky and difficult to understand for the average investor,’ he says. However, Mike Rawson from 7 Circles in London says that it is ‘lower risk than equities’, while Jeremy Edwards, from Martin-Redman in Leicestershire, who is a peer-to-peer lender through Zopa, says that it can be good as a mix of investments and savings. ‘I was looking for some more diversity and it has delivered for me,’ he says. What returns can I really get? When faced with the best-buy rate on an instant access current account (around 1.3 per cent according to Moneyfacts), or on a five-year, fixed- rate bond (2.75 per cent), it’s hard not to find the headline rate you would receive from a peer-to-peer lending site very attractive. Who am I lending the money to, and is it spread around? Peer-to-peer lending platforms all have different strategies. Some make a virtue of the fact that you are investing in a particular property or product, such as the projects on the Triodos crowdfunding platform, which allows you to choose to support housing for those with disabilities, or wind turbines in remote communities. Others choose to spread your money around different borrowers, arguing that this diversifies the risk when some borrowers default. Most platforms have their own screening process. Check you understand it. Are they using a credit reference agency (which is what a bank would do) and are there other checks? Does the platform have any provision for bad debts? Some offer ‘guarantees’ or provision funds to help soften the blow if a borrower defaults. Some have insurance policies. However, none are enshrined in law, so these guarantees are not comparable to those from a savings bank, where your money is protected up to a certain limit if the bank fails. Some funds pay out at the discretion of directors, others automatically pay out. Look to see how large these funds are in relation to outstanding loans. Is the platform a member of a reputable association? It isn’t always easy to find out how many borrowers default, but most sites should publish some figures. Lendy’s default rate is 9.5 per cent.Lending Works is 2.4 per cent. What alternatives would give me similar rates? Check corporate bond funds, to see whether these have similar possible returns. If you don’t understand risk, a financial adviser should help you. Can I use an Ifisa? Putting your peer-to-peer investment in an Isa makes it more attractive, as you aren’t paying tax on your returns. Not all platforms offer it. Peer-to-peer is in its infancy. If you don’t feel comfortable with the level of risk, then this is probably not the investment arena for you. 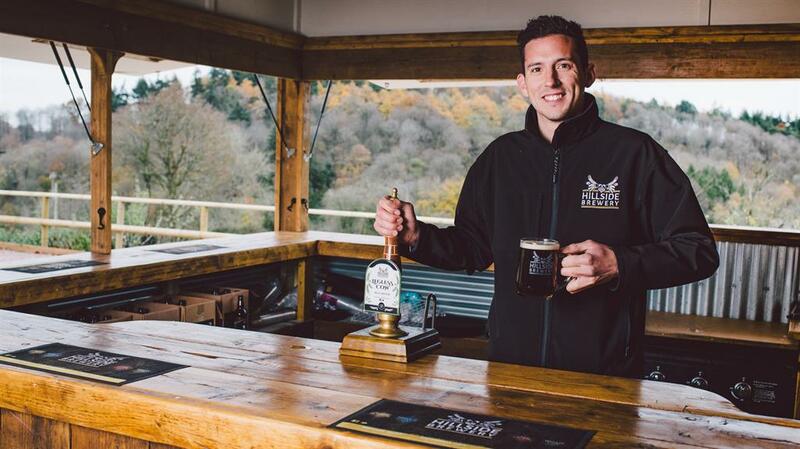 PAUL WILLIAMSON, who runs Hillside Brewery in Gloucestershire, has invested £20,000 in a peer-to-peer lending site called Folk2Folk. ‘I came across the site through word of mouth,’ says Paul, 29. He is earning 6.5 per cent from the loan, and interest is paid monthly. Folk2Folk loans are secured against UK property, to give some additional security. ‘I do understand that there is a risk, though,’ Paul says. Originally published in Metro News on 10th April 2018.